As you know, I recently received an Urbini Touri travel system for review and absolutely love it. Right now the car seat is loaned out to my cousin and she has also been impressed with it. I JUST found out that Urbini is now offering a new line of crib furniture. Urbini is now offering the Urbini Dream Nursery Contest! The winner of this awesome instagram contest will have the designer of this wonderful furniture, Rachel Dacks, come to their home and help them create their dream nursery. If you are a brand new mom, or expecting another little bundle of joy and need to update your nursery, this contest is a MUST for you! ENTER TO WIN! 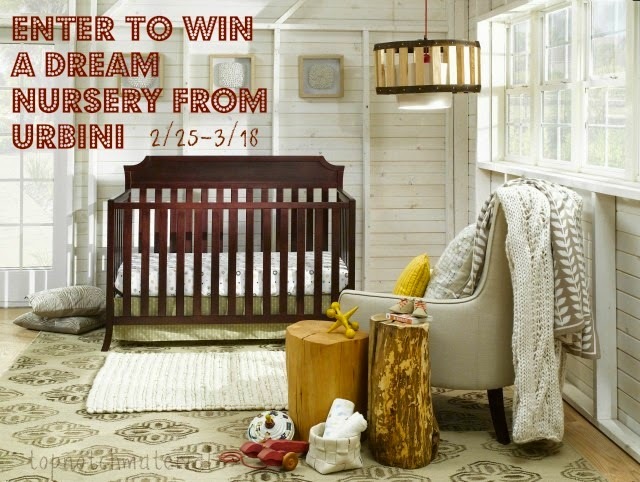 To enter the Urbini Dream Nursery Contest to win the Grand, Second, or Third Prizes, contestants must post an Instagram photo of the room they want to redesign to their personal Instagram account tagging #UrbiniDreamNursery and #Contest. For all other entry information, including entering to win the daily $50 Walmart Gift Cards, please visit www.UrbiniDreamNursery.com.